The Signature is a world within a world. As your private portal to everything Las Vegas, you're free to indulge in an incredible array of diversions – with one commonality: an elevated level of personalized service. So whether you're grabbing a drink at The Lounge or basking in the private luxury of your own poolside cabana, you'll experience a level of attention and dedicated service that's unsurpassed, right at the heart of the most exciting city on the planet. Truly, this is Vegas at its best. As your gateway to this most incredible of cities, The Signature puts you at the doorstep of Las Vegas' most amazing experiences. Our Concierge is just the person to open that door and show you the way through. Allow us to serve your every whim, from show tickets to procuring a table at that must-experience restaurant to making your golf reservations. 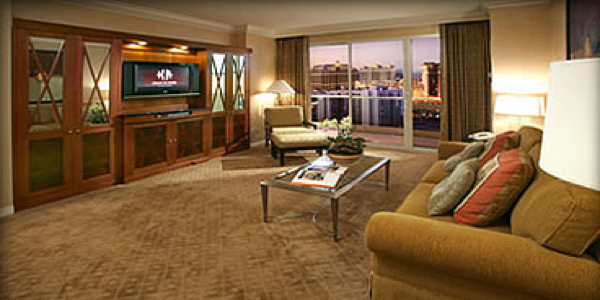 And when you feel the desire to leave your tranquil escape for the excitement of Vegas, the gaming, nightlife and entertainment of the phenomenal MGM Grand is right next door. 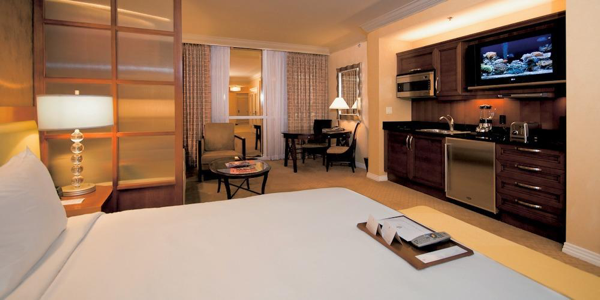 Step inside your 550-square-foot suite and immerse yourself in elegance. Enjoy a dedicated sitting area with state-of-the-art entertainment technology, full kitchenette, king-sized bed with upscale linens, and a rejuvenating whirlpool spa tub.